Is the mortgage business still profitable? Genworth is the largest private residential mortgage insurer in Canada and the second largest mortgage insurer. The company offers both transactional and portfolio mortgage insurance. It provides mortgage default insurance to Canadian residential mortgage lenders. Genworth is known for delivering value at every stage of the mortgage process. The company operates through its subsidiary, Genworth Financial Mortgage Insurance Company Canada (Genworth Canada). With more than two decades of experience, Genworth has development deep relations with lenders, brokers, realtors etc. and has built a broad underwriting and distribution platform across Canada. The company has helped more than 1.5 million families buy their own homes. Genworth provides tailored mortgage insurance products which help customers buy homes with as little as 5% down payment. Genworth has a strong capital position with a track record of annual dividend increases and share buybacks. Superior customer service, a robust risk management framework and innovative processing technology form a deep moat around Genworth’s business. Genworth primarily serves first time homebuyers in the 25-45 age bracket and with a $106K average household income. Premium rates on portfolio mortgage insurance are generally lower than those on transactional mortgage insurance due to the lower risk profile associated with portfolio loans. Genworth benefits from higher transactional premium rates. The company successfully increased its transactional insurance market share in 2018 to 33% from 32% earlier. Genworth deploys a proactive risk management strategy and comprehensive underwriting practices. As a result, the company has successfully reduced its loss ratio to 14% in the third quarter from 25%, five years ago. With more than twenty years of experience, Genworth has developed a high-quality, well-diversified insurance portfolio, which is designed to reduce performance volatility through all phases of the economic cycle. The new OSFI mortgage rules did not have much of an impact on Genworth, since it is a mortgage insurance company. Though the mortgage stress test (B20) has lowered the percentage of borrowers, with an LTI (loan-to-income) ratio above 450%, most of them were filtered back in 2016 when a stress test was already implemented. A higher interest rate is further improving the credit profile of the borrowers. This adds to cash flow visibility for the company. Genworth is investing in process innovation and technology to drive improved customer experience. It has developed a deep understanding of customer behaviour, given years of experience in the insurance industry. The company also supports government stakeholders in framing regulatory policies regarding the housing and mortgage markets. The normalization of housing markets and strong employment trends should act as tailwinds for the company. 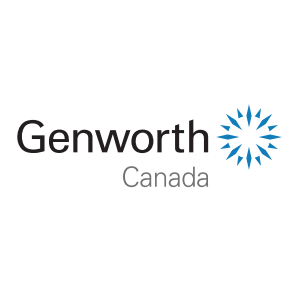 2018 marked Genworth Canada’s ninth annual dividend increase since its IPO in 2009. The company has a decent payout ratio of 36% and an impressive yield of 4%. Genworth is currently paying a quarterly dividend of $0.51 per share, increasing it from $0.47 per share. It also has a sound track record of share buybacks and paying periodic special dividends. Genworth completed a $50 million share buyback during the last quarter. Genworth has grown its EPS by 9% CAGR since 2013. Its margins have improved as a result of higher interest rates. Higher premium rates should drive profitability, though volume growth could be a concern in 2019. The company is expecting to grow market share further in 2019 through product innovation. Transactional premiums written are expected to be flat in 2019 on the back of market size reduction. But the overall portfolio quality and market share will improve. Unearned premiums ($2.1 billion as at September 2018) provide good visibility of future revenues. Embedded profits in unearned premiums should drive profitability in 2019 and beyond. As the pipeline of future first-time homebuyers grows, mortgage insurance becomes indispensable. It is mandatory for less than 20% down payment, and a 100% coverage protects lender against default risk. The Canadian Real Estate Association (CREA) is projecting both home sales and prices to rise by over 2% in 2019. In addition, interest rates are also projected to increase between 2.25% and 2.75% in 2019. Genworth will continue benefiting from the normalization of the housing market. While it competes with all the major Canadian banks, Genworth actually handles a lot of the customers that are deemed risky for a bank which often consists of entrepreneurs or immigrants. Genworth has formed long-standing relationships with lenders, mortgage brokers, realtors, builders and industry associations across Canada. This grants the company an edge. Genworth has a leading market share among private mortgage insurers. Genworth should benefit from strong employment fundamentals. There is a strong desire for home ownership in Canada and real estate wealth forms a big chunk of the overall Canadian wealth. Given its impressive yield and reasonable payout ratio, and a sound dividend growth history, Genworth could be considered before an insurance or mutual fund stocks but not before a conventional Canadian bank. Genworth is not a core holdings. You need to consider your financial sector industry exposure before taking a position in MIC. Its business is focused on the housing industry and it could always take a hit.